I'm not a waxer. Or should that be waxee? Either way, my hair removal of choice for my legs is shaving - yes, it is a pain that you have to do it so often, but it's also cheap and easy. The main thing that puts me off waxing is the regrowth required. And then there's the pain. The first and last time I had a wax was about ten years ago and it was so painful it put me off for good. However... 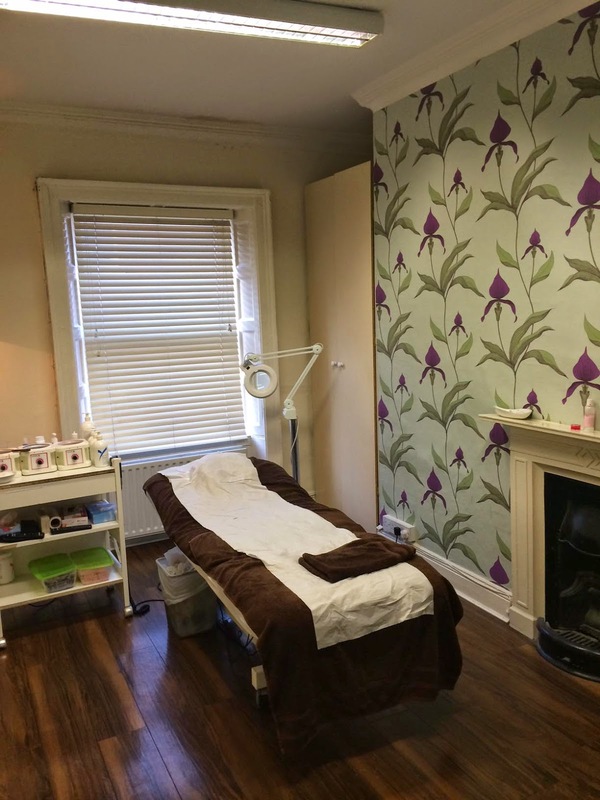 I realise that waxing methods and wax formulas have probably come a long way in the intervening years, so when we were offered the chance to try out a treatment at Brazilia, I decided to take the plunge. I was aware of Brazilia and their reputation for waxing, and a couple of my friends are regular clients. Mags tried to convince me to have an, eh, intimate wax, as some sort of equalizing measure for this, but I thought I'd do things in baby steps, and opted for a half leg wax on my lower legs. Once I booked in, the first thing I did was check out Brazilia's website, where they include some really useful advice in their FAQ section, which was great for a waxing newbie like myself. I didn't shave for a couple of weeks, and my hairy legs and I made our way to Brazilia's South William Street location (they also have a salon in Sandyford). Brazilia's city centre salon is located on the top three floors of an old Georgian building - its age gives the place a homely, comforable feel, a little different from the more clinical salons I'm used to. Once I fill in a new client form, I'm lead to my treatment room which is a big, bright room with a comfy chair and treatment table in it. There's also a TV on the wall in the corner, so you can catch up with the news while you're being waxed, or in my case, distract yourself with a bit of How I Met Your Mother. My therapist was great - she explained everything she was doing and gave good after-care advice. She worked quickly but very thoroughly and to my surprise, it wasn't half as painful as I thought it would be. Don't get me wrong, there is some pain, you're having hair ripped from your skin after all, but nothing like I anticipated. Brazilia use Lycon wax which is infused with aromatherapy oils and is actually very kind to skin. I was in Brazilia for about half an hour (great place for a lunch time wax if you work in town!) and I left with totally smooth legs which lasted for a good ten days. While I haven't become a regular waxer, I will definitely be paying a return visit to Brazilia before my holidays in June. Less time shaving = more time sunbathing and shopping! Find a full list of treatments at www.brazilia.ie - they also do spray tanning and shellac nails.